The Oxford India Gandhi looks beyond the plaster-cast image of Mohandas Karamchand Gandhi, the Mahatma. Gandhi's autobiography ends in the late 1920s, several historic years before his assassination in 1948. This book seeks to fill that void left by Gandhi himself. Edited by Gopalkrishna Gandhi, the book tells Gandhi's story in his own words-the story of his life as he himself might have narrated it to a grandchild. Through speeches and articles, and also the more informal diary entries, letters, and conversations the writings unfold chronologically unexplored facets of Gandhi's evolving world view, his responses to persons and events, relationships with family, friends, and colleagues. The result is a collection that manages to look beyond the oft-repeated details-into the little things that almost always went unnoticed. As for example his playful retort 'Ask Mrs. Gandhi' when asked whether he ever suffered from nerves, or his condemning of spitting in public places as 'a national vice', or his telling response 'You will be as free as any scavenger' to the zamindar who had asked him what will become of them (meaning the zamindars) when India became independent. Gopalkrishna Gandhi's general and part introductions locate the writings in their proper context, while the detailed Notes provide a wealth of additional information for interested readers and explain the relevance of selected entries. The photographs that preface each part vivify a life that roused a million hearts and spearheaded one of the greatest marches to freedom ever witnessed in human history. The Oxford India Gandhi offers a look into the personal life of one of the subcontinent's most public figures of all time. Part of Oxford University Press's prestigious 'Oxford India Collection', the book is as much for those who know Gandhi, including students and scholars of Indian history and culture, as for young readers encountering the Mahatma for the first time. Gopalkrishna Gandhi, a former administrator and diplomat, is currently the Governor of West Bengal. The youngest son of Mahatma Gandhi's youngest son Devadas, he has no memories of his grandfather, as he was only two-and-a-half years old when Gandhi was assassinated. And the reaction would be right. Repetition has made one of the world's most compelling, challenging, transformational, and passionate persons the one thing he never was-boring. It has made that most original person clichéd. One of my aims in selecting passages from his works has been to redeem the living Gandhi from the plaster-cast image of the Mahatma. And also-the reader may be disappointed to learn this-to de-ascribe some of these 'well-known' quotes such as those given above which are not Gandhi's. These quotes (including the one about Cripps' offer being 'a post-dated cheque on a crashing bank') are embroidered versions of his thinking. They are not untrue to his spirit, but they are not untrue to his spirit, but they are not in words spoken or written by him. When it comes to Gandhi, I believe, it is better to be accurate than to be under an illusion, even an eloquent one that seeks to do well by him. 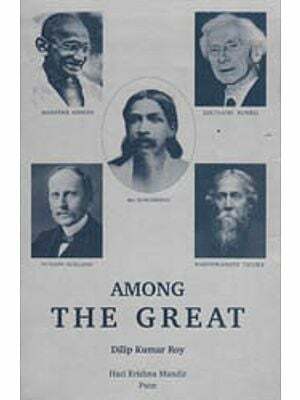 I have, therefore, relied on sources that are beyond doubting, mainly the monumental Collected Works of Mahatma Gandhi (in its original edition) edited for the major part by Professor K. Swaminathan, books with 'Gandhi quotes' written in his life-time and the works such as those of Millie Graham Polak, Mahadev Desai, and Prabhudas Gandhi, which also appeared during his lifetime, as well as those of and his immediate associates like Pyarelal, Manu Gandhi, and Nirmal Kumar Bose, which were published after Gandhi was no more. 'Gandhi Readers' and 'Selected Works of Gandhi, have appeared regularly. They are excellently produced and accompanied, as in the ones compiled by Raghavan Iyer (OUP 1993) and Rudrangshu Mukherjee (Penguin 1993) with incisive introductions. Such works will continue to be put together, for the Gandhi 'mine' is so large and deep that it will keep revealing nuggets not known to have existed. But frequency has made the 'Gandhi Book of Quotations' a somewhat tedious genre, even as veneration has made that searingly self-critical man another thing he never wanted to be-an icon. Cement statues of him abound, toothless grain below lenseless spectacles on a face that is in the very pink of health. They caricature a man whose presence, as different from his physical appearance, was uncommonly powerful and challenging. Anthologies can also become the same: devoid of his grip over individuals' attention and his grasp over subjects. I do not know what OUP India's thinking was when it asked me to attempt yet another compilation of Mahatma Gandhi's essential writings. Was not Raghavan Iyer's volume in the same OUP series still very much in circulation? In the course of a long walk in the bracing autumnal air of Oslo in 2002 Ramachandra Guha said to me, 'There is always room for another Gandhi anthology and if you follow an approach to the selection that is new, you will be assisting the student of modern history.' I sent my 'yes' to OUP shortly thereafter. What (I asked myself) should my approach to a new selection from Gandhi be? There are many more qualified to do a thematic compilation of his great and transformational ideas, his powerful statements in Court, his editorial. If it is to give me satisfaction, I realized, mine will have to be a story-in his words. The story of his life as Gandhi might himself have narrated it, to a restless grandson. Narrated in time snatched between visitors, meetings, marches, mud packs, bursts of temper, explosions of love. A story as expressed in speeches and articles, but also in diary entries, letters and, most importantly, in conversations. While I thought upon all this (as is my wont) I hallucinated. 'Relate to me please, Bapu, the life within your Life. The actual thing about you, not just your discourses. The dream ended with that. And work began-in a very white Norwegian winter. It suffered interruptions as I got back to India, to the summers and monsoons of Kolkata and to the demands of a daily 'Engagements List' which confronted me each morning. But the mines of the Collected Works, the megalithic sites of his assorted words elsewhere, and the little dolmens of others' records were entered and with 'his' pencil as the instrument, marked. M. Radhakrishnan painstakingly copy-typed hundreds of pages for me in his spare time in Oslo. Later, in Kolkata, Tuhin Kumar Mukherjee worked beyond his official duties indefatigably and with insight on that material. Radhakrishnan, Tuhin, and I were on something like a dig, bringing a 'lost script' to light. The text was neither familiar nor fantastic. It was just fresh. The pages had the head with it. Not because I regarded it as holy but because it sounded like honesty's own voice. Sometimes, shaken, I broke down. Often, I raced through the words as if towards him, saying 'Bapu! You never told me that before!. then called 'whole boots'. His general footwear was soft leather slippers. If I was a painter, I could paint my father's disgust and the torture on his face as he put his legs into stockings and his feet into ill-fitting and uncomfortable boots. He had to do this. I could now better understand MKG's distaste for heavy footwear and passion for making, with his hands, simple sandals. The Kathiawari turban acquires a new meaning in Gandhi's wry comment: there is a saying that Kathiawaris have as many twists in their hearts as they have in their puggrees. As also in the assessment which seems to carry a sigh in it: I know how turbid Kathiawari politics is. These lines were not in the Autobiography. They occurred in different documents. But the 'pencil' Gandhi had given me was marking and connecting them for the retelling of the life within the Life, the 'essential' story. His mother's image, firmly etched in the lampblack of a widow's piety, is that of an ascetic. I was, therefore, delighted to learn in Pyarelal's work of Gandhi's remark on being shown a 3000 years' old pair of silver anklets by the museum curator at Taxila: Just like what my mother used to wear! I had not associated Putlibai with silver anklets. Of course she would have worn them as she, the Diwan's wife, went in and out of the Rajkot palace. How good it felt to know of Putlibai's ornaments! Putlibai combined a religiose the fact that domestic help abounded in the house from dawn to midnight, sitting down to her own meal after all others had eaten. There can be no doubt that something of the restless 'manager's in Gandhi came to him from his mother.